152,000 homes are going solar in the Aloha State. Is yours next? Hawaiian sunshine is primed to help the state meet its goal of 100 percent renewable energy by 2050. As of 2015, Hawaii has the capacity to produce 589 megawatts of solar energy, which can generate enough power for 152,000 homes. Over the next five years, the Aloha State should nearly double its solar power capacity. And, with the 66 percent drop in photovoltaic cell prices over the past five years, solar-friendly laws instituted by the state legislature, solar incentives for homeowners, and 137 solar companies operating in the state, Hawaii should be able to meet its ambitious renewable energy targets. Electric bills in Hawaii are the highest in the U.S., averaging $203 a month. That breaks down to roughly $0.37 per kilowatt of energy. With solar panel installations usually costing anywhere from $11,200 to $14,400, you can see why it’s less expensive for most Hawaii homeowners to install solar panels than pay those outrageous prices for their electricity. And, now that photovoltaic cells are 66 percent cheaper than in 2010, it’s even easier to justify buying solar panels for your home. Calculate just how much you can save in Hawaii with the help of our solar calculator. As of the summer of 2016, homeowners in America who own solar panels can get 30 percent back in federal tax credits. This is a major incentive that can save you thousands of dollars. The federal tax credit, however, only applies to homeowners who purchase their solar panels outright—sorry, no leases, financed systems, or solar PPAs. Utility companies often times offer solar-energy incentives, too. Browse Hawaii utility incentives by zip code to see how you can save more on home solar. When your solar panels produce excess energy in Hawaii, your utility company will owe you energy credits. This is called net metering. Hawaiians who are eligible for this incentive have to own their solar panel system outright. But don’t worry, some solar companies, such as Sunrun, offer excess energy rebates, regardless of whether or not you own your system. A leader in solar innovation over the past 30 years, SunPower has filed 600 solar-related patents and developed the first solar-powered plane: Solar Impulse 2. 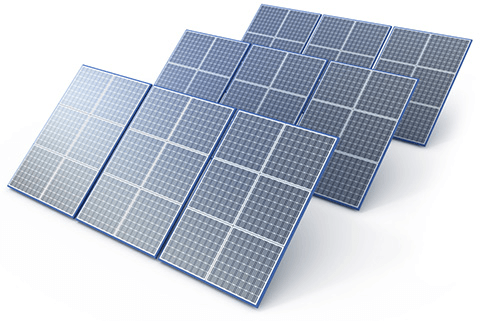 And if that isn’t enough, SunPower’s solar cells produce 55 percent more solar power than the average panel. That means that customers can get more energy for less when they choose this California-based company. Another California-based company, Sunrun offers 20 percent savings on your electric bill with their solar PPAs, and boasts A-ratings from both the Better Business Bureau and Angie’s List. Sunrun’s unique combination of energy savings and customer service is part of the reason why it services a whopping 80,000 customers. Not only that, but Sunrun offers customized payment options, high-tech solar panels, and comprehensive monitoring, setting it apart from most other home solar providers. Headquartered in Utah, Vivint Solar opened its doors in 2011. You may recognize Vivint as a nationally-known home automation and home security company. With Vivint Solar, the company expanded, giving customers 10–30 percent off of their electric bills. Vivint Solar offers solar PPAs, leases, financing, and buy-out packages, which include flexible payment options. And don’t forget that Vivint has home security systems and home automation devices that can help you feel more at ease in your home, making Vivint your one-stop-shop for energy savings, home security, and high-tech amenities. When you lease, finance, or buy your solar panels from NRG Home Solar, you’ll enjoy professional design, expert engineering, hands-on monitoring with select options, and comprehensive permitting services. Plus, NRG Home Solar installs solar panel for as little as $0 upfront. Although NRG Home Solar doesn’t currently offer solar PPAs, their customers save money thanks to guaranteed utility rates. On the bright side, in 2015, Hawaii lawmakers set the benchmark to generate 100 percent renewable energy by 2045, making Hawaii the only state that has mandated a total transition away from fossil fuels. State officials are shifting their focus to solar energy as part of Hawaii’s larger renewable portfolio. In general, the State of Hawaii has created policies to make home solar more affordable for homeowners in order to meet its ambitious targets. For example, in Hawaii, your net metering credit is guaranteed by law to equal the full retail rate for electricity. Right now, that’s about 39 cents per kilowatt hour—a potentially huge amount of savings. Your credits, however, expire within 12 months. That means that the utility provider doesn’t have to honor any credit that isn’t used after 12 months. Think of it this way, if you generate an excess of power over the course of the year, the utility company keeps your credits, robbing you of savings. Also, the Hawaii State Legislature has tried to develop easy procedures to get home solar power systems. But this process at times requires homeowners to pay for a costly Interconnection Requirements Study to see if they can be connected to the utility grid. Unfortunately, other solar costs can hit you in Hawaii, too. Installation of equipment like an external disconnect switch and state-mandated insurance can also cost residents money. Hawaii has more than 137 solar companies, which employ 2,814 people. The state installed 117 megawatts of solar electric capacity in 2015, ranking 13th in the U.S. Installed solar capacity in Hawaii has increased by 10 percent since 2015. $331,000,000 was invested in solar installations in 2015 in Hawaii—a three percent increase from 2014. With 589 megawatts of solar energy capacity installed in Hawaii, the state ranks fairly high at eighth in the U.S.
Get news, information, and tips on how to make Hawaii, and your home, more sustainable. Want to know more about solar-power advocacy in Hawaii? Peep this nonprofit’s website. Check out what the Hawaii state government is doing to meet its renewable energy targets, or get a hold of your Hawaii legislators and let them know how you feel about solar. 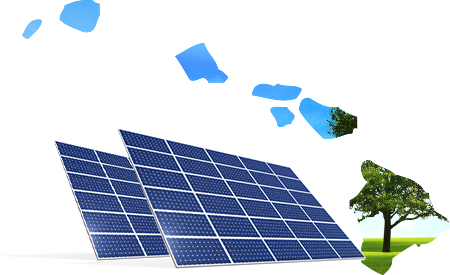 Check out Hawaii solar power incentives for your specific zip code. Learn about current energy trends in the U.S., how renewable power sources can increase efficiency, and more with this helpful government site.